Head inside of The Rat on Bull for an in-store scavenger hunt with goodies for The Rat, Big Bon, and Bell Barber Company. 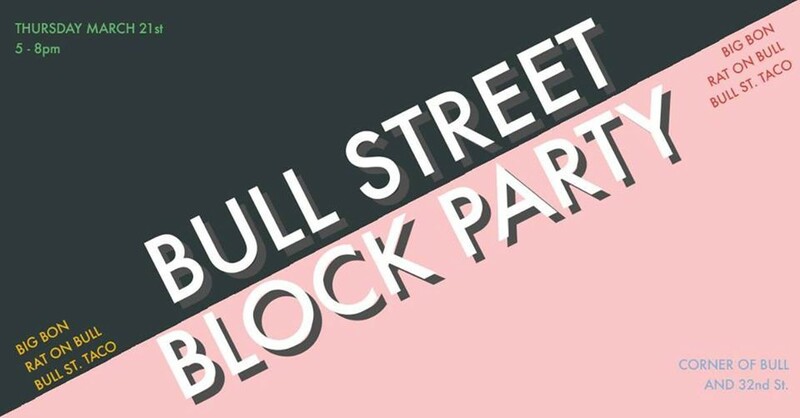 Pop over to Bull Street Taco for drinks and a special BST x BB Korean BBQ Taco. Big Bon Pizza will be dishing out a special pizza by BST x BB Mojo Chicken Pizza.